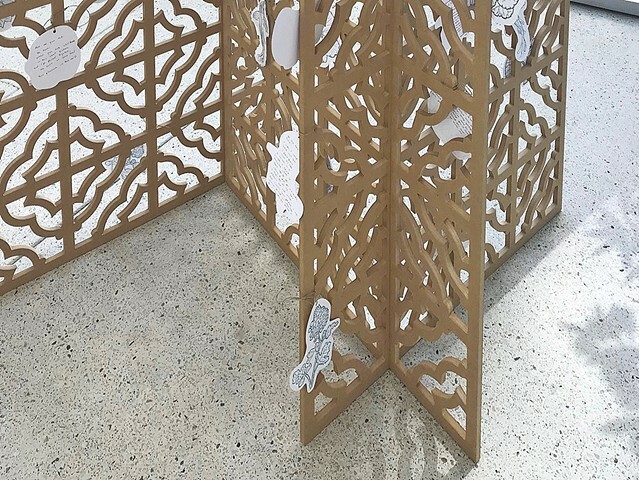 Step inside the poem “On Visiting the Franklin Park Conservatory & Botanical Gardens” by Khaty Xiong. 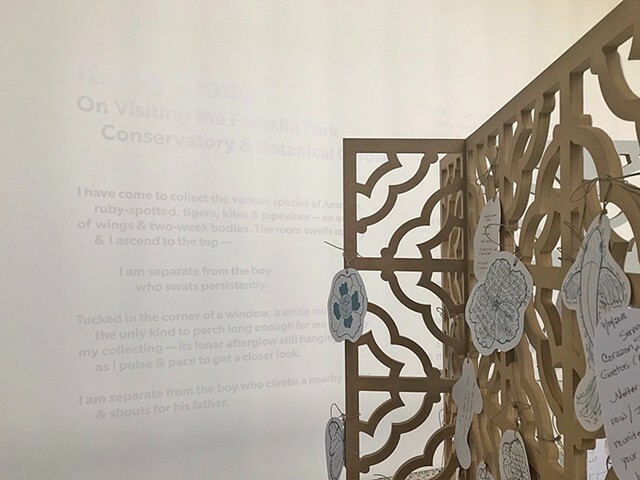 This interactive exhibit presents a visualization of Xiong’s poem about visiting a garden to find the ghost of her recently deceased mother. 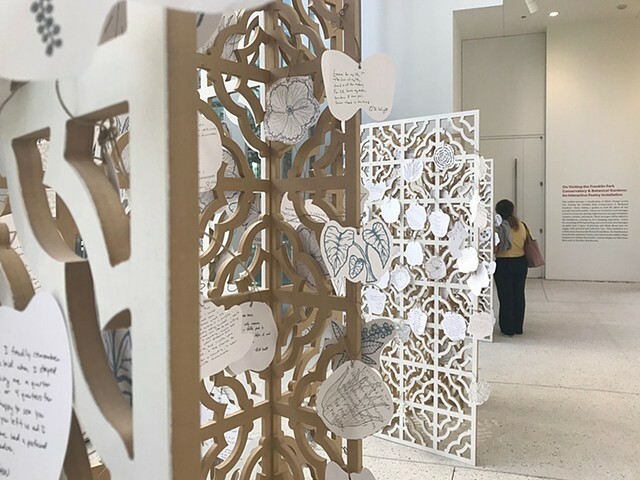 Guests are invited to send messages to lost loved ones by sharing original poems on paper templates of plants, animals and insects. 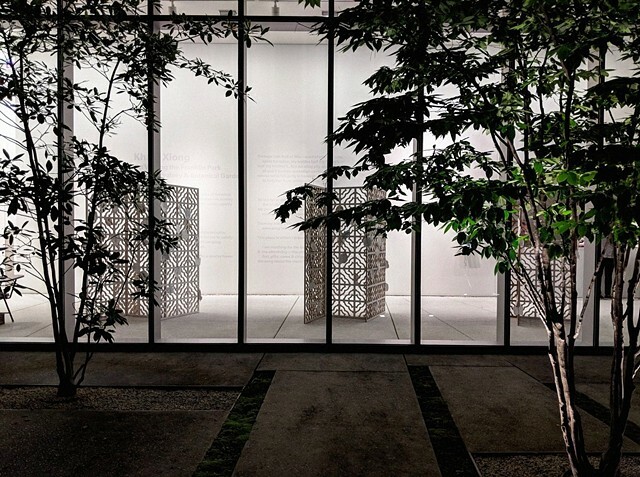 These messages will be added to the installation, creating an ever-changing experience. 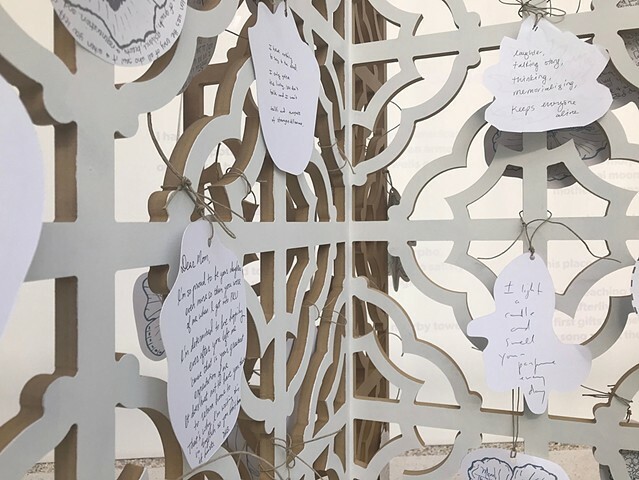 Listen to a recording of Xiong reading and discussing her poem and record your own messages on grief. 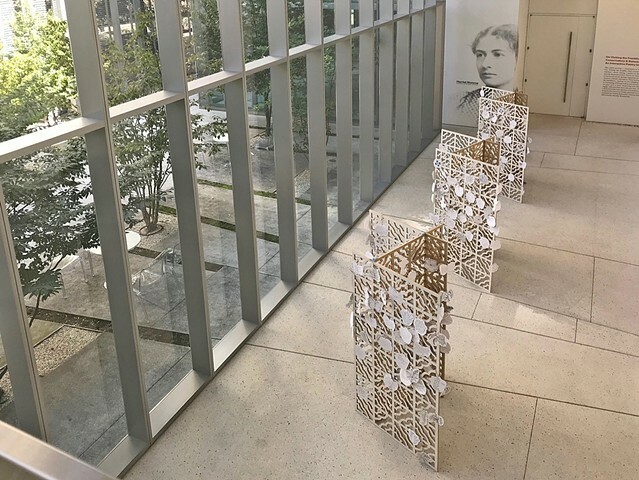 This provides guests a space to grieve and a place to think about how we engage with personal and collective loss. The title poem appeared in the July/August 2017 Asian American Poets issue of Poetry magazine. 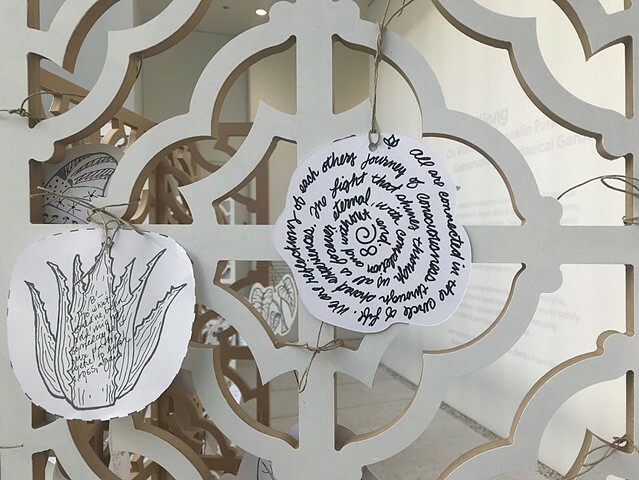 A collaboration between the Poetry Foundation, the Smithsonian Asian Pacific American Center (APAC) and visitors to the exhibit.